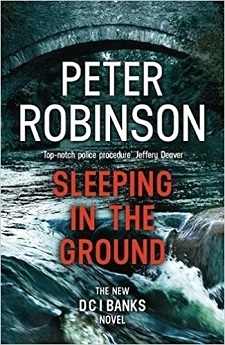 Many terrific crime fiction writers are based in Canada. And each time I read the list of authors being honored at the Arthur Ellis Awards, I realize how little I know about Canadian authors. Here is the list of the winners of the 2018 Arthur Ellis Awards for Excellence in Canadian Crime Writing, announced by the Crime Writers of Canada. This list should inspire book sales among readers. Crime Writers of Canada was founded in 1982 as a professional organization designed to raise the profile of Canadian crime writers. The members include authors, publishers, editors, booksellers, librarians, reviewers, and literary agents, as well as many developing authors. I love audiobooks and always have one going in my car—which is the only place I listen to a book on tape. Listening to a book is a different experience, and a good reader enhances the experience. A bad one, well, that will have you looking for a different book. And audiobooks are growing in popularity. The Audio Publishers Association has announced the winners of the 2018 Audie Awards. 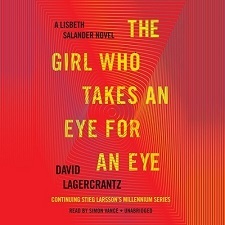 The Girl Who Takes an Eye for an Eye, by David Lagercrantz, read by Simon Vance (Random House Audio), has won top honors in the Mystery category. 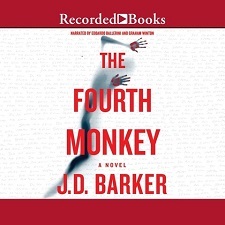 The Fourth Monkey, by J.D. Barker, read by Edoardo Ballerini and Graham Winton (Recorded Books), has won for the best Thriller/Suspense audiobook. The 23rd Annual Audies Gala was held on May 31 at the New-York Historical Society in New York City. Often referred to as the “Oscars of spoken word entertainment,” the evening marks a gathering of authors, narrators, and publishers excited to hear who will win the most prestigious awards in the United States honoring audiobooks. For more information on the Audie winners as well as audio clips, visit www.theaudies.com. We enjoy learning about other mystery fiction enthusiasts. The genre brings us closer to each other and further establishes our community. So we are glad to hear about the newest Dove Award winner. 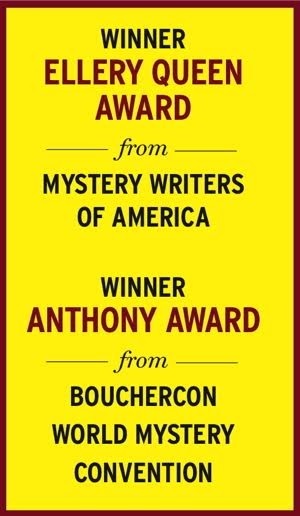 Each year, the Mystery Area of the Popular Culture Association recognizes a person who has made major contributions to the study of mystery, detective, and crime fiction. This year, Dr. Stephen Knight, an Honorary Research Professor in literature at the University of Melbourne, Australia, has been selected to receive the 2018 Dove Award. The Dove Award is named in honor of George N. Dove, one of the Australia’s early members, a past president of the Popular Culture Association, and author of outstanding presentations, articles, and books on detective fiction, especially the police procedural. The 2018 award recognizes Knight’s many contributions through the years to the study of crime fiction. 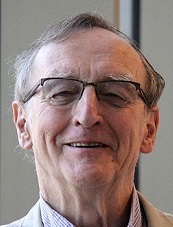 In addition to being a world-renowned scholar on Robin Hood and medieval English literature, he is the author of several books on crime and mystery fiction, among them Australian Crime Fiction: A 200-Year History (2018); Towards Sherlock Holmes: A Thematic History of Crime Fiction in the 19th Century World (2017); Secrets of Crime Fiction Classics: Detecting the Delights of 21 Enduring Stories (2015); The Mysteries of the Cities: Urban Crime Fiction in the Nineteenth Century (2012); Crime Fiction, 1800-2000: Detection, Death, Diversity (2005). Knight’s Continent of Mystery: A Thematic History of Australian Crime Fiction (1997), was recognized with the Ned Kelly Lifetime Achievement Award. He also wrote Form and Ideology in Crime Fiction (1980), and was editor of Dead Witness: Best Australian Mystery Stories (1991) and other anthologies. He was a member of the Clues editorial board from 2004 to 2017 and has published many articles and book reviews, in Clues and elsewhere, focusing on the work of Australian writers. The 2018 Dove Award was announced at the Mystery and Detective Fiction Area meeting during the Popular Culture Association annual conference in Indianapolis.